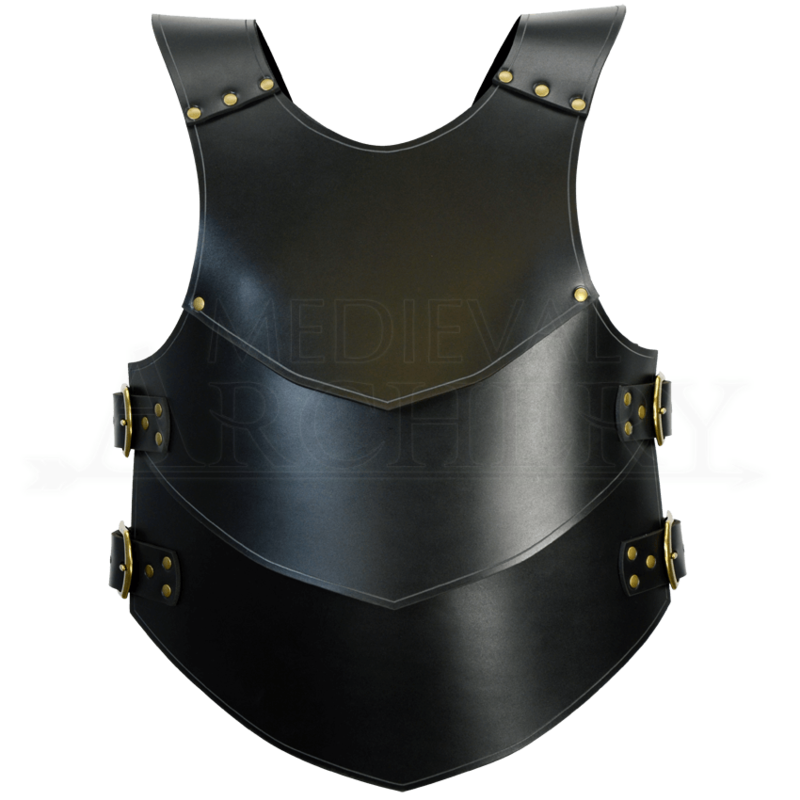 Enjoy protection without sacrificing mobility and agility in your next battle with the amazing design of the Knightly Leather Armour, featuring medium weight leather in a plated style for superb flexibility without forfeiting defense. 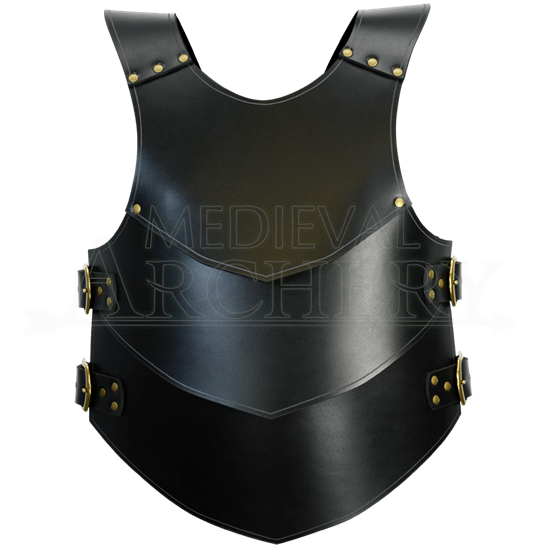 This chest piece covers your torso and leaves your arms unrestricted, providing the ideal balance of maneuverability and defense for success in battle. It is constructed in the form of a single piece from 7/8 ounce leather with antique brass. Adjustable leather straps allow for a comfortable and secure fit. This armour is available in a variety of colors to ensure that it complements your other combat gear. Protect yourself from the fury of your foes with the Knightly Leather Armour and enrich its remarkable style by pairing it with the Knightly 3/4 Leather Leg Armour (DK5231).